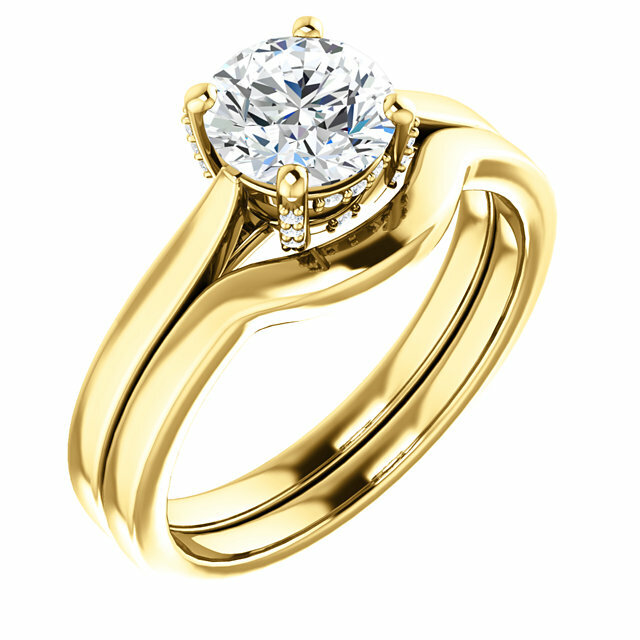 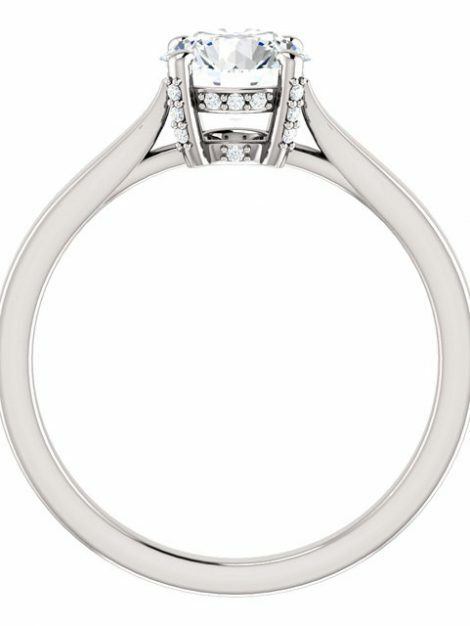 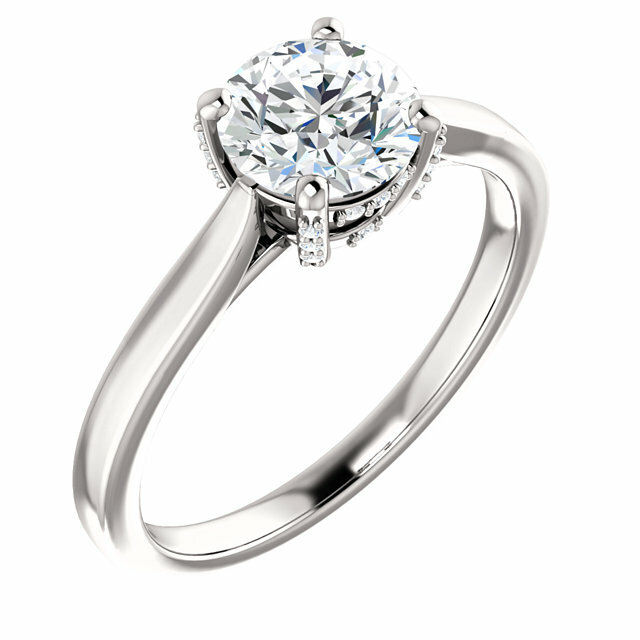 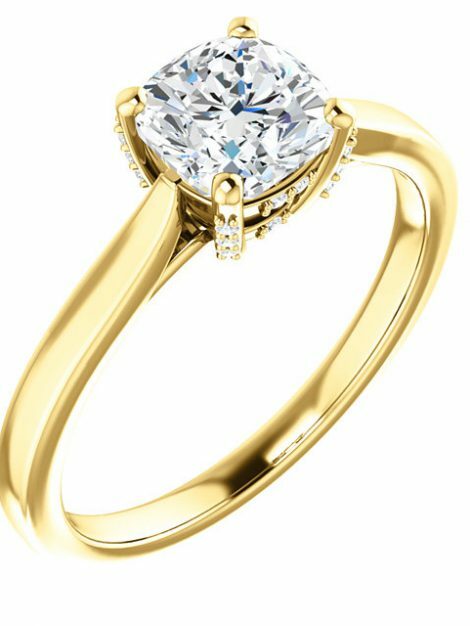 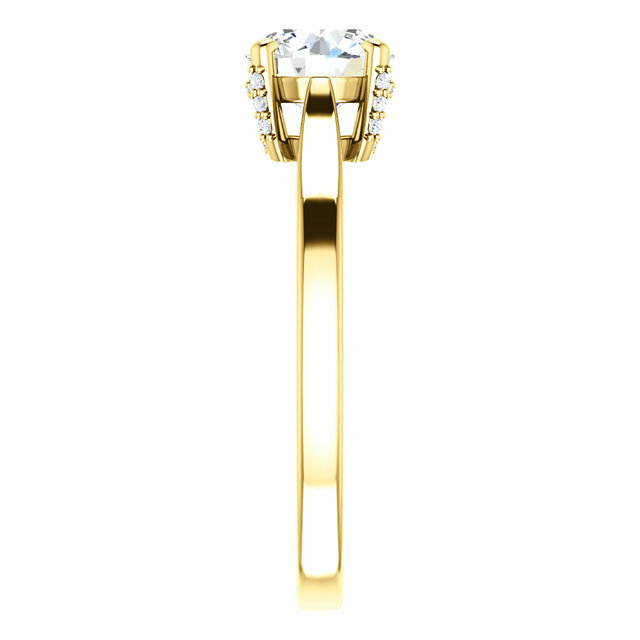 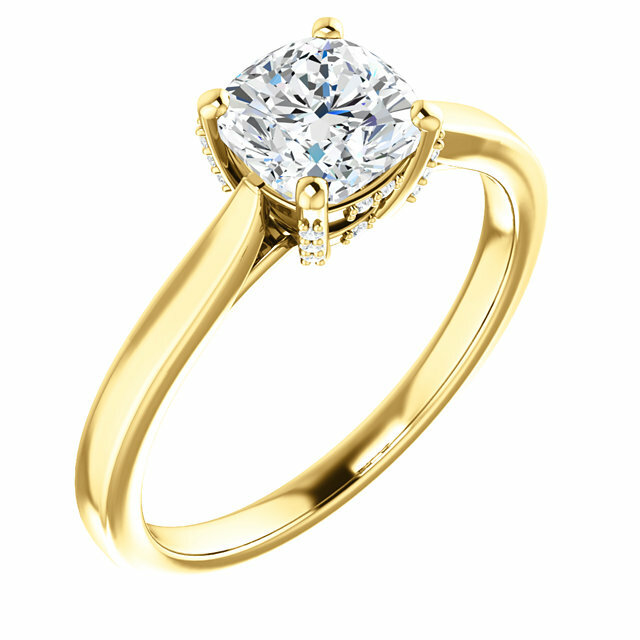 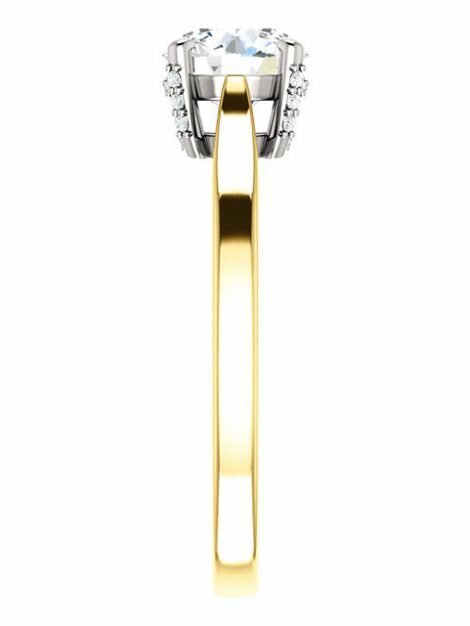 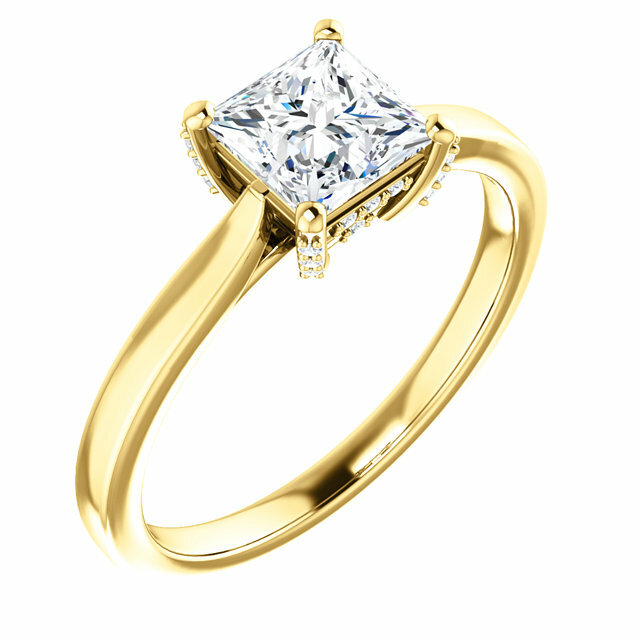 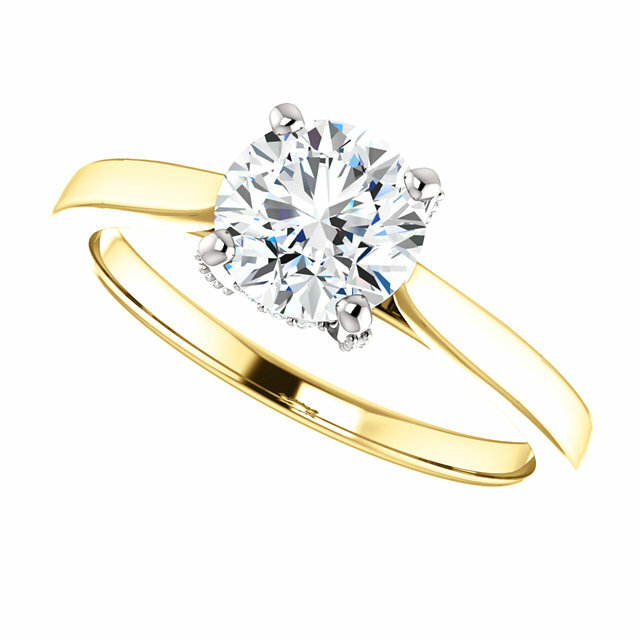 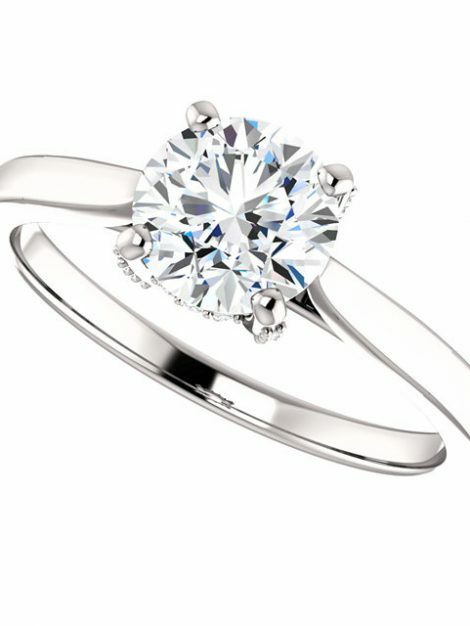 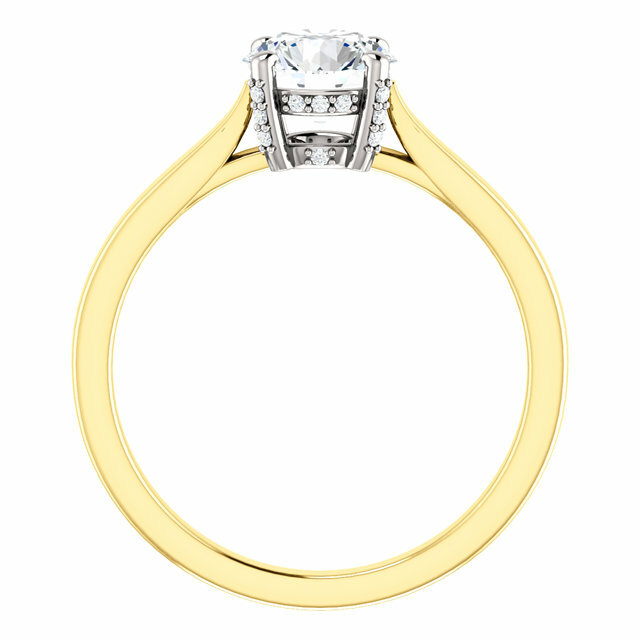 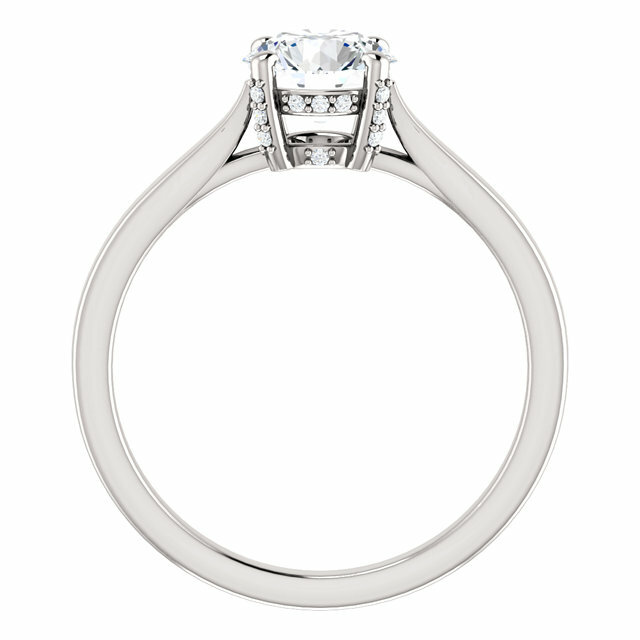 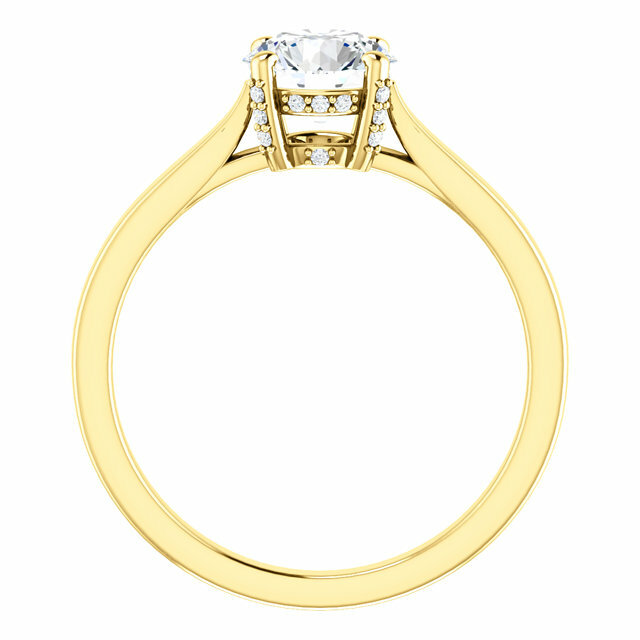 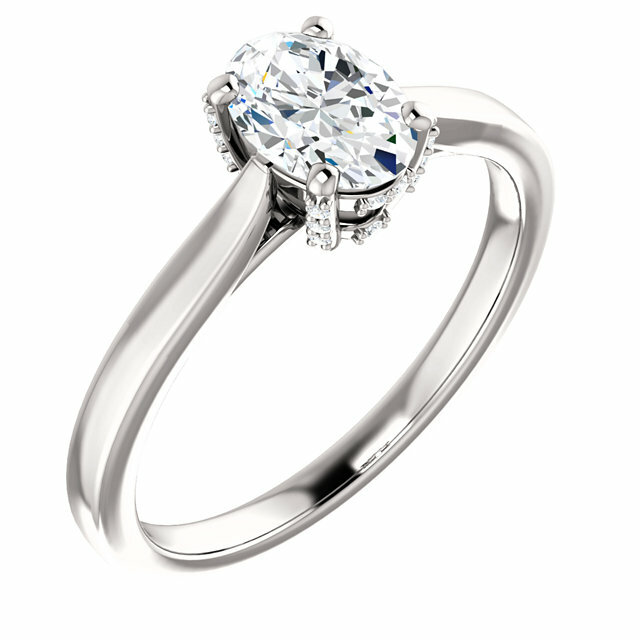 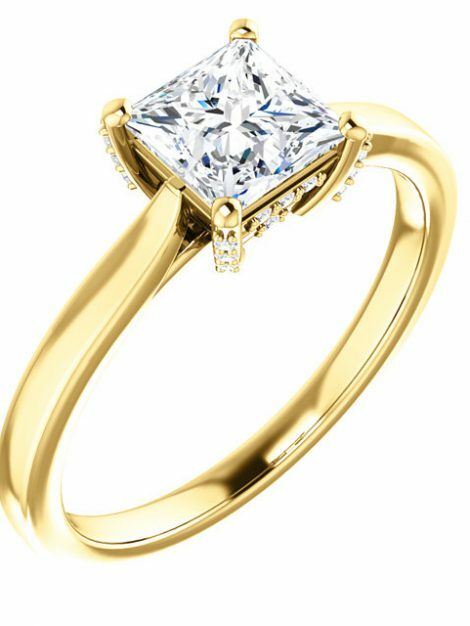 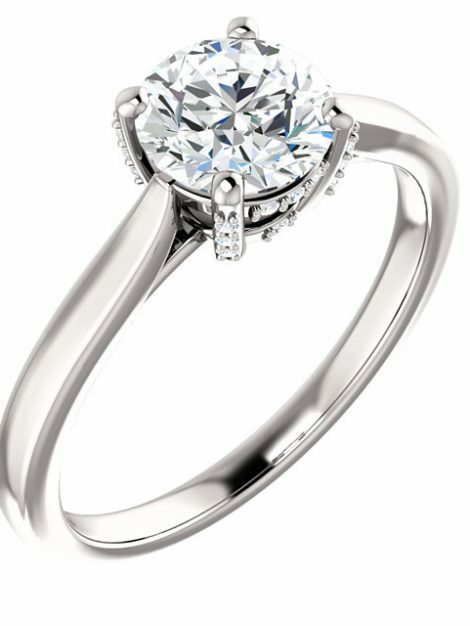 This ring fills all of DnG’s ideals, it is a Quality Solitaire Engagement Ring. 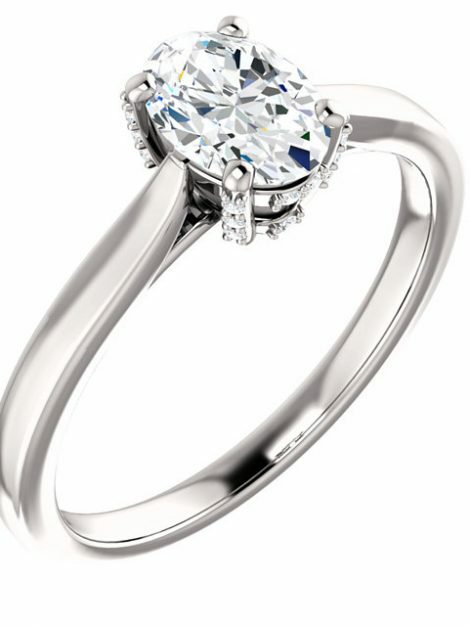 Size of stones of setting is dependent on the center carat size you choose. 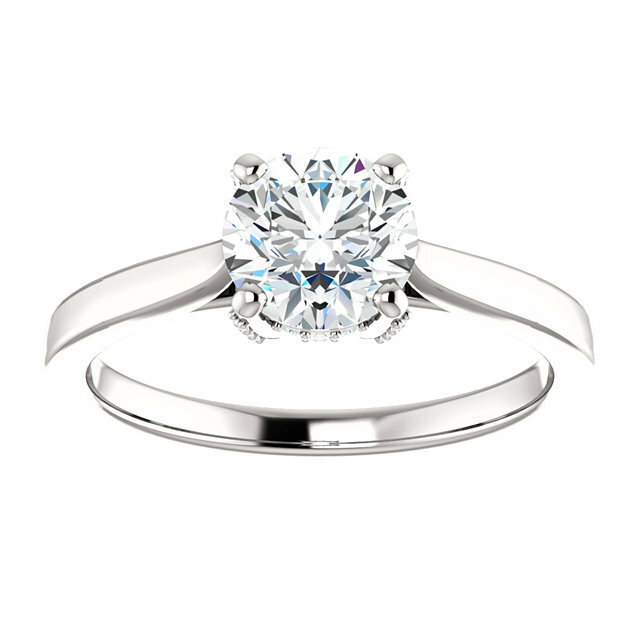 This description is based on a 1 CT diamond center. 1 ct round brilliant cut centre diamond. 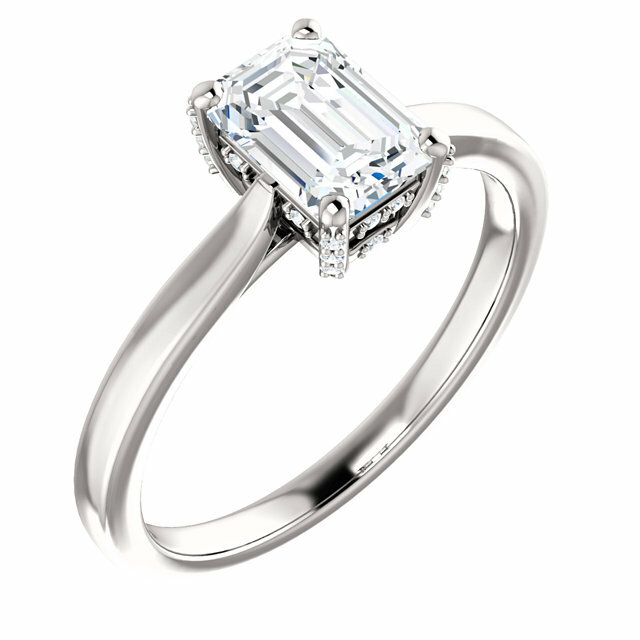 including Round, Princess, Asscher, Cushion, Emerald and Oval. 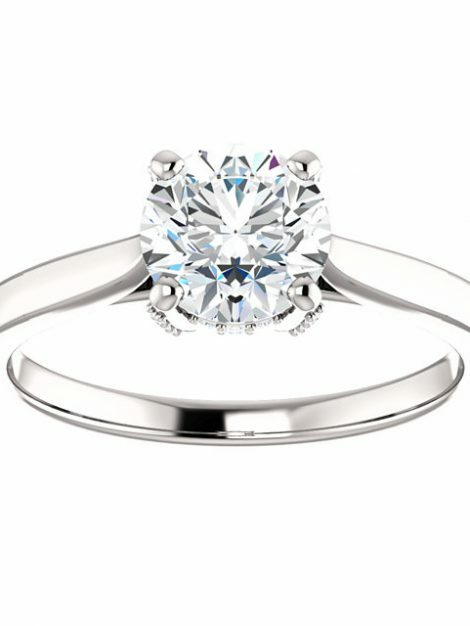 Try it with a Diamond, Ruby or a center stone of your choice. 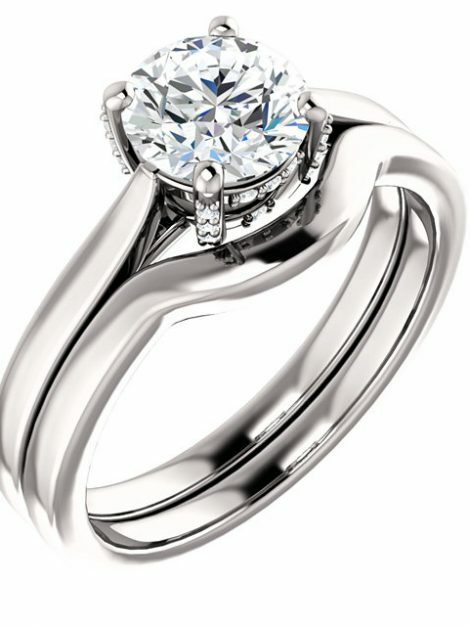 Please fill in the product inquiry form for additional information.